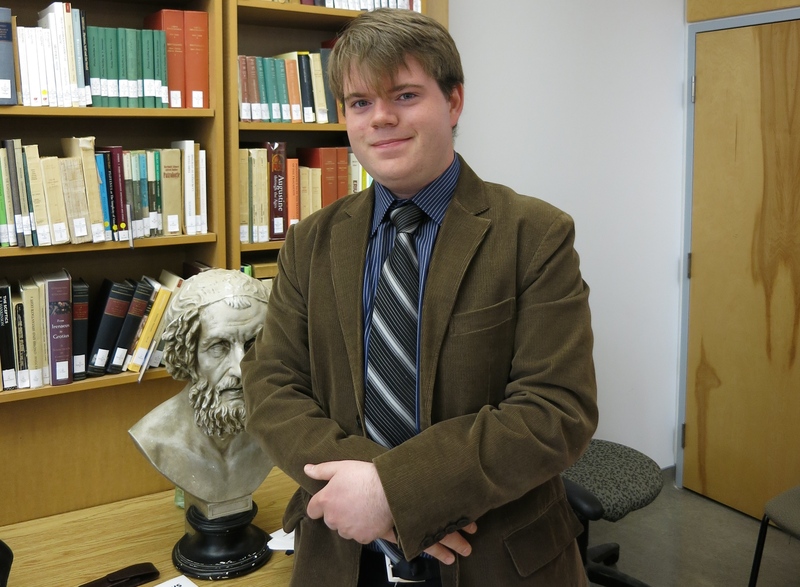 Read more about our students' roles in the University of King's College Encaenia and Dalhousie Graduation. 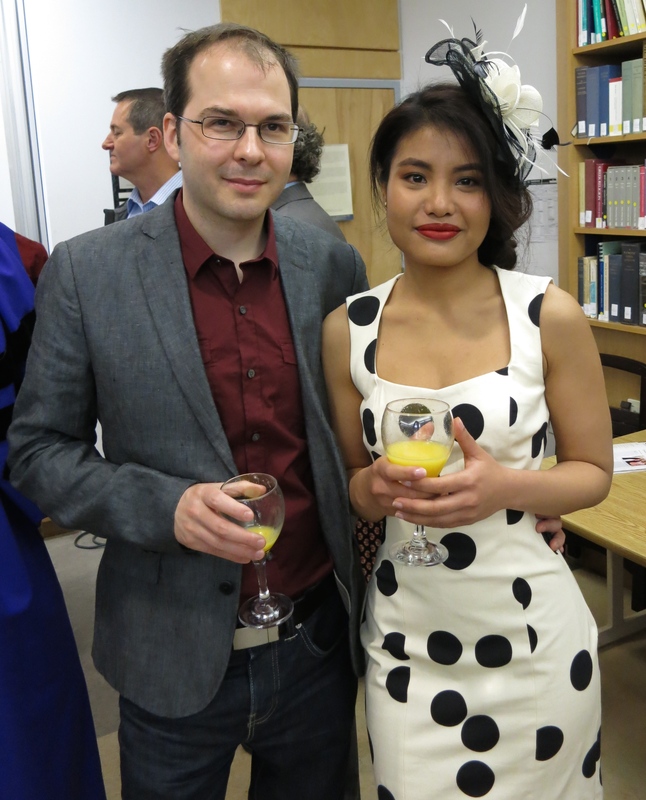 Below are pictures of our recent graduates at the King's Pre-Encaenia Breakfast, held on May 15th, and the Dal Pre-Convocation Luncheon, held on May 20th. 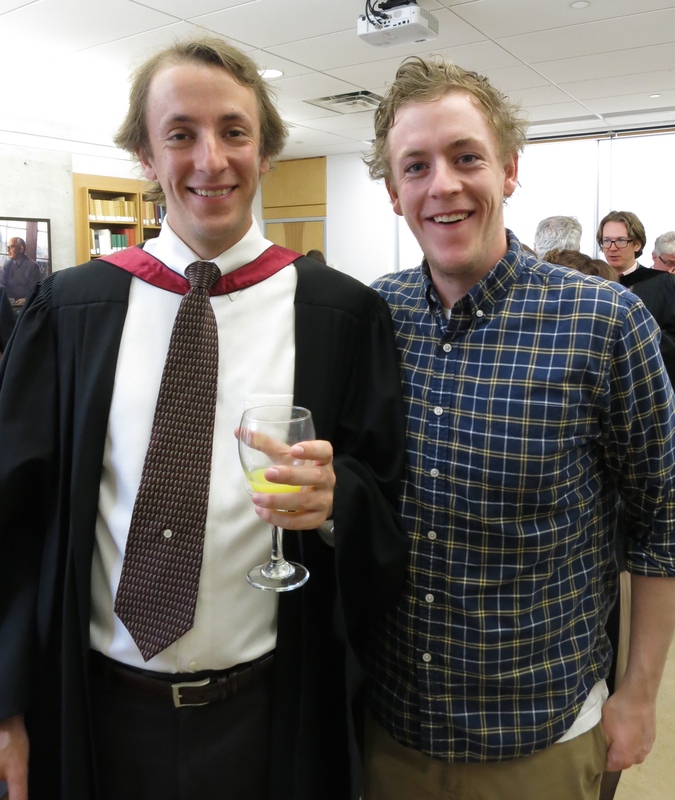 Daniel Gillis (BA in Classics), winner of the University Medal in Classics, with his father.